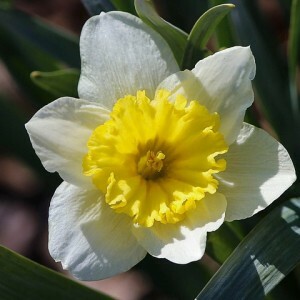 The structure of a bulb of a narcissus is more difficult than the same of a tulip, as a narcissus is a perennial plant. Development of a bulb happens constantly: the scales collect, die off old and the new accrues. Renewal kidneys, at a narcissus, are stuffed up in the top part of a collum of a bulb. External scales of bulbs of a narcissus gradually die off, then becoming a protective cover. Cut of flowers of a plant has no impact on quantity of bulbs as they have no leaves. To contain in bulbs of narcissuses vegetable poisons (alkaloids). They can cause dermatitis, disorders of digestion, a shiver and cardiac arrhythmia. During the work with narcissuses use gloves, it will prevent contact of bulbs with hands.